PA chairman ready to resume negotiations on the basis of two-state principle and determination that "settlements" are illegal. Palestinian Authority (PA) chairman Mahmoud Abbas on Tuesday once again outlined his conditions for negotiations with Israel. Speaking with members of his Fatah movement, Abbas said the PA is prepared to return to the negotiating table on the basis of the two-state solution, the establishment of an independent Palestinian state and the determination that “settlements” on all Palestinian land are illegal. He reiterated that the issue of prisoners is a top priority and that the PA will continue to support the prisoners until they are all released from Israeli prisons. "We adhere to a peaceful popular struggle because we are aware of what the occupation wants, and we adhere to our policy while coordinating with our people in Al-Quds, the West Bank, the Gaza Strip and wherever our people are," said Abbas. The PA chairman has repeatedly rejected calls by Israel to sit down for direct negotiations, choosing instead to impose preconditions on such talks. His comments come ahead of a visit to the region by U.S. President Donald Trump’s senior advisor, Jared Kushner, meant to advance the peace process. 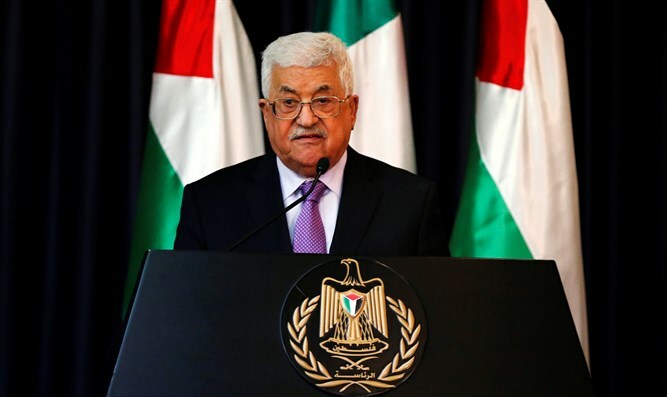 In his remarks on Tuesday, Abbas also discussed the ongoing tensions with Hamas, and rejected claims that the PA had taken punitive measures against Gaza. These steps, he explained, are meant to send a clear signal to the leadership of Hamas that it must abandon its policy, and in particular the Gaza Strip Executive Committee, which functions as an independent government. Abbas stressed that the PA is serious about its policy and is ready to take additional steps if Hamas did not comply with its call for national unity. Hamas and Abbas’s Fatah faction have been at odds since 2007, when Hamas violently took control of Gaza in a bloody coup. In recent months, Fatah has finally acknowledged that it has no control over Gaza and is now trying to force it to return control of the enclave by creating economic pressure on the group, most notably by cutting electricity supplies to Gaza through Israel.